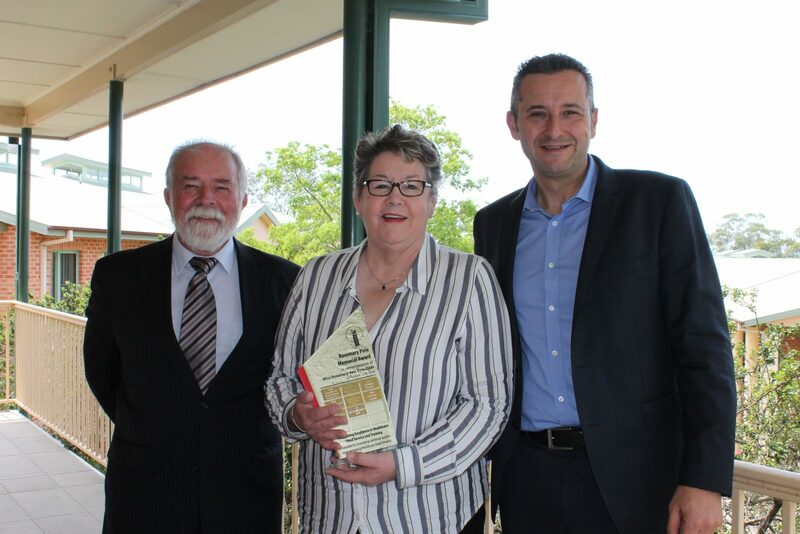 Whiddon’s excellence in aged care food and dining services has been recognised by the Australian Institute of Hospitality in Health Care (IHHC), with Whiddon announced as the winner of the 2018 Rosemary Pirie Award for Excellence. Presented at the IHHC Conference in Sydney, the prestigious award recognises excellence in health and aged care food or hotel services, training and quality assurance, and speaks to Whiddon’s innovation in these areas. Whiddon CEO Chris Mamarelis said the award is a result of the amazing work of each of our aged care homes’ food and beverage teams in delivering positive outcomes and a personalised approach to care. “This award reflects the passion of our fantastic teams who strive each and every day to deliver the highest quality care possible and ensure that meal times are a wonderful and enjoyable experience for our residents,” Mr Mamarelis said. Whiddon was nominated for their work in improving dining experiences across their homes, enhancing texture modified food items, developing their food service teams to a level of excellence through training, development and workplace culture, and for their work around using food as a platform for celebration and connection.